Inspired by Queen Isabelle of Hungary’s famous ‘Elixir of Youth’, this Caudalie Beauty Elixir uses a unique formulation of tonic and serum to give you a light and gentle approach towards your skin care. This Caudalie beauty Elixir uses an expertly blended formula containing natural ingredients designed to promote radiance, reduce the size of your pores and clear your complexion for all over perfection. Using Grape extracts to thoroughly nourish and penetrate deep into your skin to hydrate and replenish your complexion. With Orange Blossom to allow for skin to be awakened, invigorating your senses whilst energising skin cells, Rose works its floral notes perfectly to soften the overall scent of this amazing beauty product. Organic balm mint instantly refreshes and boosts cell circulation, adding a zingy and enlightening scent whilst Rosemary gives this beauty essential some subtle floral undertones for a perfectly whole hearted finish. An excellent base for make-up, with Victoria Beckham favouring this for a complexion boosting secret that desperately needs sharing. 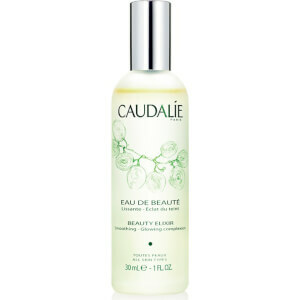 Working not only as an anti-dulling beauty product, the Caudalie Beauty Elixir works for men too. Perfectly soothing and reducing redness post shave to leave any face looking fresh and blemish free. To achieve the perfect results, shake before use, this activates and disperses the ingredients evenly to ensure that every application is the best it can be. Avoid contact with the eyes, misting onto the face before your moisturiser at any point of the day to get an instant complexion boost. 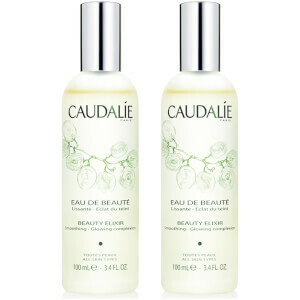 The Caudalie Beauty Elixir is a great beauty gift idea, giving that special someone some added TLC in the form of a luxurious and brightening Caudalie beauty product. Shake before use. Avoid the eyes. 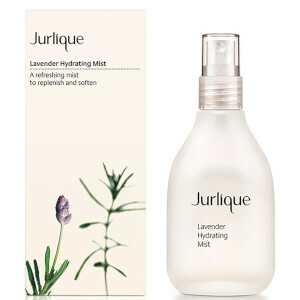 Spray onto the face before your moisturiser and at any time of the day to wake up the skin. Aqua/Water/Eau, Alcohol*, Citrus Aurantium Amara (Bitter Orange) Flower Water*, Parfum (Fragrance)*, Rosmarinus Officinalis (Rosemary) Leaf Oil*, Potassium Alum, Glycerin*, Mentha Piperita (Peppermint) Oil*, Styrax Tonkinensis Resin Extract*, Commiphora Myrrha Resin Extract*, Melissa Officinalis (Balm Mint) Leaf Oil*, Rosa Damascena Flower Oil*, Vitis Vinifera (Grape) Fruit Extract*, Tocopherol*, Citral*, Limonene*, Linalool*, Citronellol*, Geraniol*, Farnesol*, Benzyl Benzoate*, Eugenol* (010/024) *Plant Origin. Free gift when you spend £55 on Caudalie. Free Omorovicza Easter Gift worth £55 when you spend £60. Complimentary gift will be awarded at the basket. Offer valid for a limited time only, while stocks last. this beauty elixir is suit for my oily skin.i always use it before using “Vinoperfect Radiance Serum Complexion Correcting”,after cleaning face. The beauty elixir is perfect to use in summer. It is very nature when make up after using. Not spot appear during the period. will let my skin feel very fresh. will wake up my skin in the morning. suitable for mix-oil skin. Especially for summer. i use it after i finish make up or after toner. I will buy it again! Very good, I will buy it again. Caudalie star product, the queen is the essence of the water ~ taste like Fengyoujing, the bottle body can see that oil father above, close your eyes and spray, originally thought that is very exciting, did not expect face is very cool, super praise! Replenishment effect is also good, the main regulation of water and oil to do very good, the pores are feeling a small circle!!! Too NICE ~ a thumbs up thumbs up! I feel like I don't want to use another spray, love is dead! its been 2 years since I wanted to try the product. face get very oily these days and eventually bought the product. result is surprisingly amazing! It does what it said!! feel so great on skin too! worth the money, if oily skin and large pores concern you.